Liverpool are banking on Mohamed Salah and the passion of the Anfield crowd to propel them towards the Champions League final on Tuesday but Roma stand in their way in a mouth-watering repeat of the 1984 title decider. Spearheaded by Salah and inspired from the touchline by exuberant manager Jurgen Klopp, Liverpool will look to repeat the blitzkrieg attack that blew Premier League champions Manchester City away in the previous round. But the five-times champions will be wary of the team that staged a remarkable comeback against European aristocrats Barcelona in the last eight, overcoming a 4-1 first-leg deficit to progress to their first European Cup semi-final in 34 years. Klopp is credited by both City manager Pep Guardiola and Roma’s American co-owner James Pallotta for transforming 25-year-old Salah, who joined the club from Roma last year, from a rather nervy finisher into a deadly striker who has scored more than 40 times for Liverpool this season. “I think the coach there has clearly figured out how best to utilise him, using him in a different position I would say to Roma because you’ve got (Edin) Dzeko in the middle,” Pallotta told the BBC. Roma’s record of losing their past three Champions League games on the road — conceding eight goals in the process — does not bode well ahead of a visit to the home of Liverpool, who have tightened up at the back since the arrival in January of Dutch defender Virgil van Dijk. 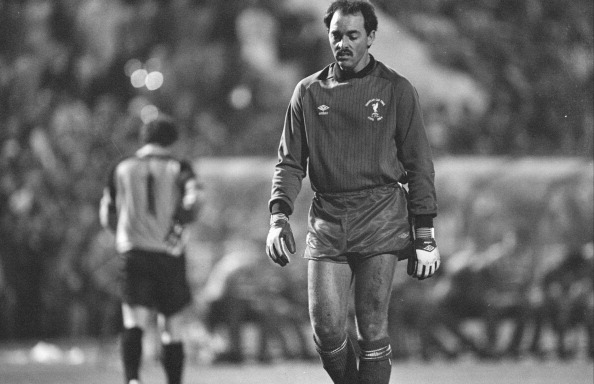 Bruce Grobbelaar, the hero for Liverpool in the 1984 penalty shootout against Roma — unnerving Italy 1982 World Cup-winning duo Bruno Conti and Francesco Graziani with his wobbly knees routine — believes his former side will prevail. Despite their rich heritage in the competition, Liverpool — who last won the Champions League in 2005 — have not been in the last four of the competition for a decade. But captain Jordan Henderson believes this season’s run to the semis could be the start of a new golden era under Klopp. Roma coach Eusebio di Francesco warned that the pace of Liverpool’s prolific front three of Salah, Sadio Mane and Roberto Firmino — who have combined for 83 goals this season — offers a very different threat from Barca’s Lionel Messi and Luis Suarez. “We are facing a different rival from Barcelona and we need to be ready for that different challenge,” said Di Francesco. “We have to play our football, impose our style and make the most of Liverpool’s weaknesses. 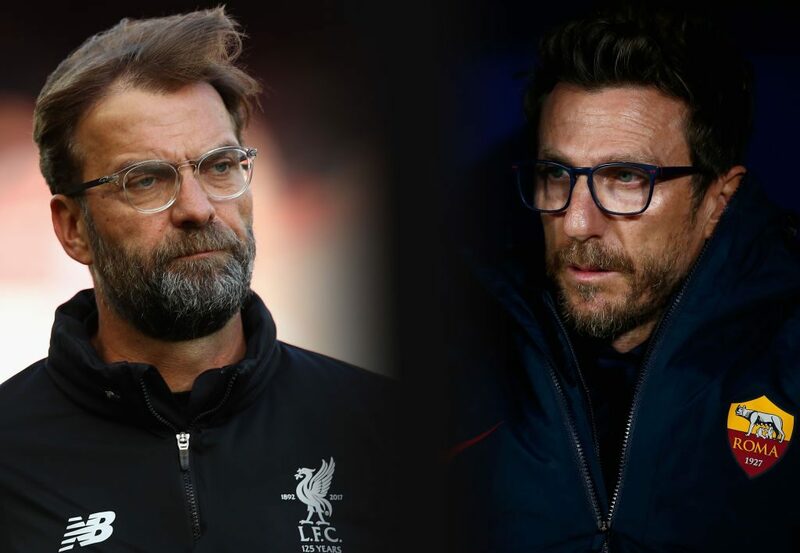 Di Francesco is often compared to Klopp for his coaching style but he says his managerial style is a mixture of Carlo Ancelotti and Antonio Conte. 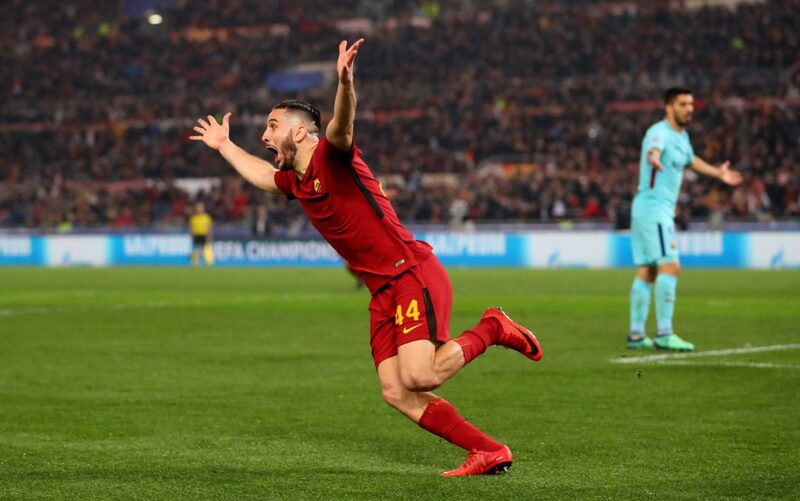 For the Roma players there was only one man responsible for their miracle against Barcelona and he was on the touchline. “The difference for me was Di Francesco, he changed a lot of things and he got it spot on,” said captain Daniele De Rossi. 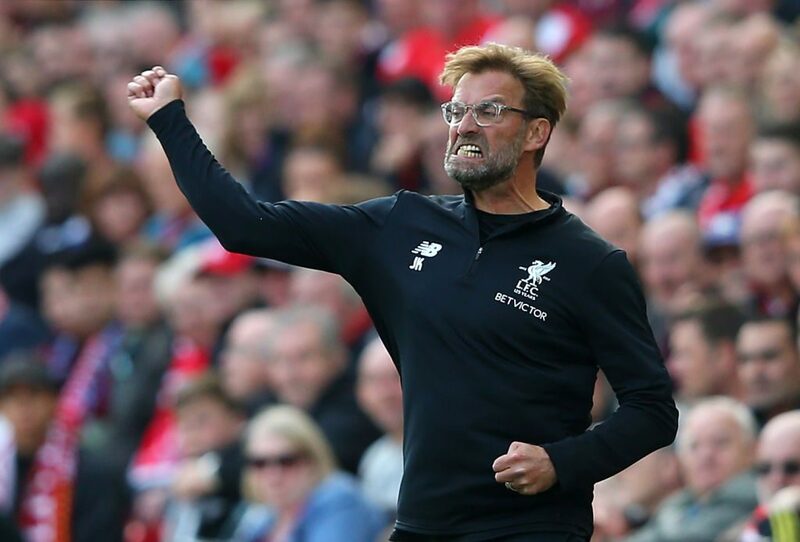 Klopp acknowledges the power of the Anfield crowd but wants to avoid the ugly scenes outside the ground against Manchester City, when the away team’s bus was attacked. “In the stadium do it again and better. Outside the stadium, please show the respect we have to show,” Klopp said.